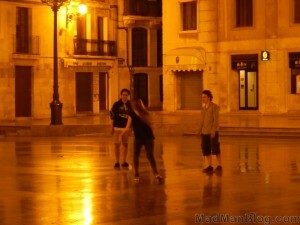 Once at the main square, we enjoy our street-beers and watch some of the locals play soccer and skateboard on the marble surface that fills the square. 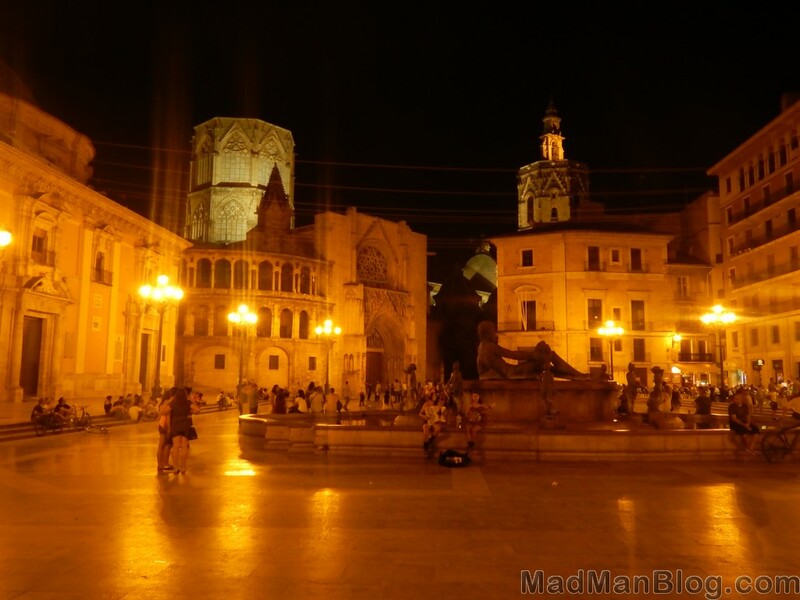 Valencia at night really is beautiful. 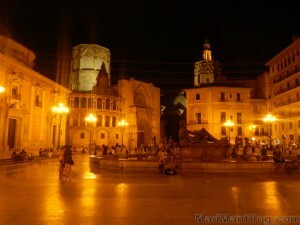 The square overlooks the main cathedral in the city and, at night, it has a sort of orange/yellow glow. The architecture, combined with the street-beers, and locals running around provides for quite an entertaining and relaxing end to the night. 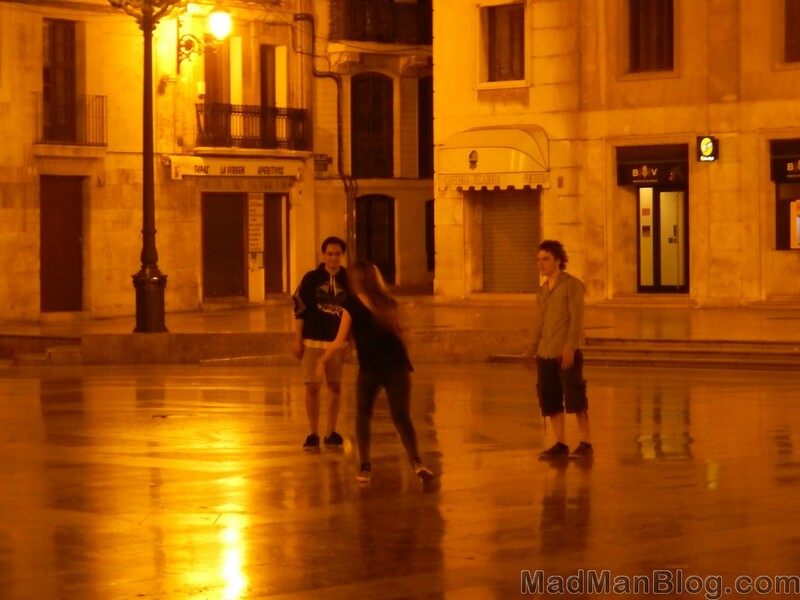 One of the girls goes to play a little soccer with the locals and some other people in the group are talking to the homeless people who are sitting nearby. At this point, I dare one of the girls in our group to find out what is in the homeless man’s bags and she actually does it. I always wanted to know what was in the bags that they carry around; turns out it’s mostly stuff related to sleeping: mattress pads, sleeping bags, maybe even a tent, and additional clothing. It’s pretty much the same stuff me and other travelers take with us in our backpacks. I am enjoying the evening but some of the people in the group decide to look for a bit more… I have to say, I don’t think it is a good idea to purchase drugs from someone you just met on the street at 4:30 AM but, then again, I’m not the one looking for or buying it, so whatever. After one of the people in the group buys something, you can imagine what, the rest of us just chill in the square and mind our own business. That, however, doesn’t last long as, soon after the drug deal goes down mere feet from us, someone comes up and robs the man from whom one of the girls just purchased drugs. Thankfully, one of the Dutch guys in our group notices what is happening and we get the hell out of there. The last thing you want is to be robbed or killed or both the first night you are in a city.